This book is a selection of papers from a conference which took place at the University of Keele in July 1982. The conference was an extraordinarily enjoyable one, and we would like to take this opportunity of thanking all participants for helping to make it so. The conference was intended to allow scholars working on different aspects of symbolic behaviour to compare findings, to look for common ground, and to identify differences between the various areas. We hope that it was successful in these aims: the assiduous reader may judge for himself. Several themes emerged during the course of the conference. Some of these were: 1. There is a distinction to be made between those symbol systems which attempt, more or less directly, to represent a state of affairs in the world (e. g. language, drawing, map and navigational skill) and those in which the representational function is complemented, if not overshadowed, by properties of the symbol system itself, and the systematic inter-relations that symbols can have to one another (e. g. music, mathematics). The distinction is not absolute, for the nature of all symbolic skills is, in part, a function of the structure of the symbolic system employed. 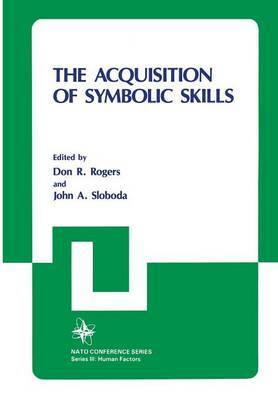 Nonetheless, this distinction helps us to understand some common acquisition difficulties, such as that experienced in mathematics, where mental manipulation of symbols can go awry if a child assumes too close a correspondence between mathematical symbols and the world they represent. 2.